Joe from Christchurch, keen on hunting above and below water. Recently purchased a few items from forum members and enjoy reading the banter and knowledge this site provides. Most recent firearm purchase is a 300wm from @buzzman so will be working up a load for that once I get my hands on @25/08IMP’s Swaro Z5. If anyone has any recommendations on rings for this set up feel free to send through a PM. Load wise I’m looking at running 208gr ELD-M, Norma brass, Federal 215 primers and AR2217 powder. Will give an update on the forum once I’ve got these humming. Any idea if the 1” low ringmounts would be a good fit? Welcome you scary venomous slitherer. The Black Mamba likes this. I'll be interested to hear how the 208M's go in the 300wsm. 200 EDL-X might be one to look at as well. 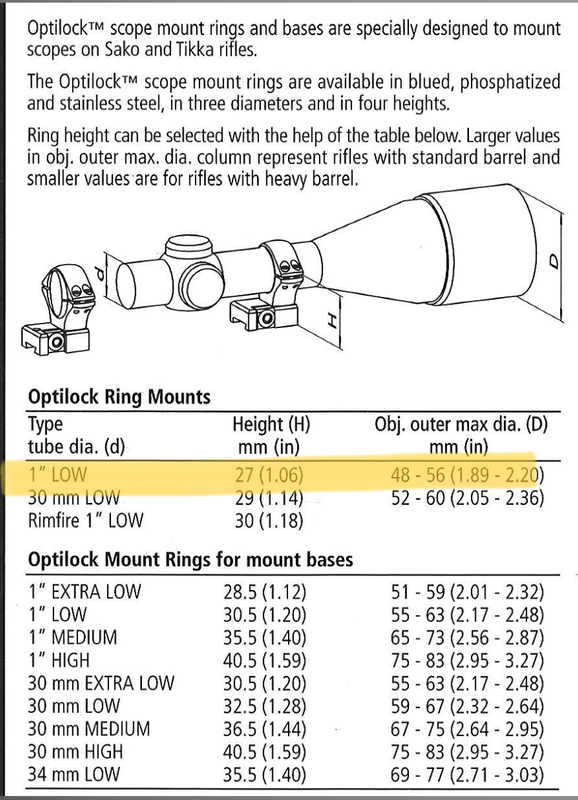 Sako optilock ringmounts are all one height mate and yup they will mount that scope on that gun perfectly. Last edited by BRADS; 11-09-2018 at 08:29 PM. Gibo, Micky Duck and The Black Mamba like this. Sako optlocks are all one height mate and yup they will mount that scope on that gun perfectly. Arnt the bases and rings still optilocks? Not sure if this attachments going to show. Looks like the ringmounts are all low which will fit 48-56mm objective outer diameter. Which theoretically will be fine for the 44mm objective and allow room for scope covers. Cheers @jakewire I’ll look into the 200gr ELD-X for the 300 winmag as well.